It’s late September 2010 and I’m out walking the streets ‘Inspecting Liverpool.’ A task I’d long undertaken even then, well before this blog. 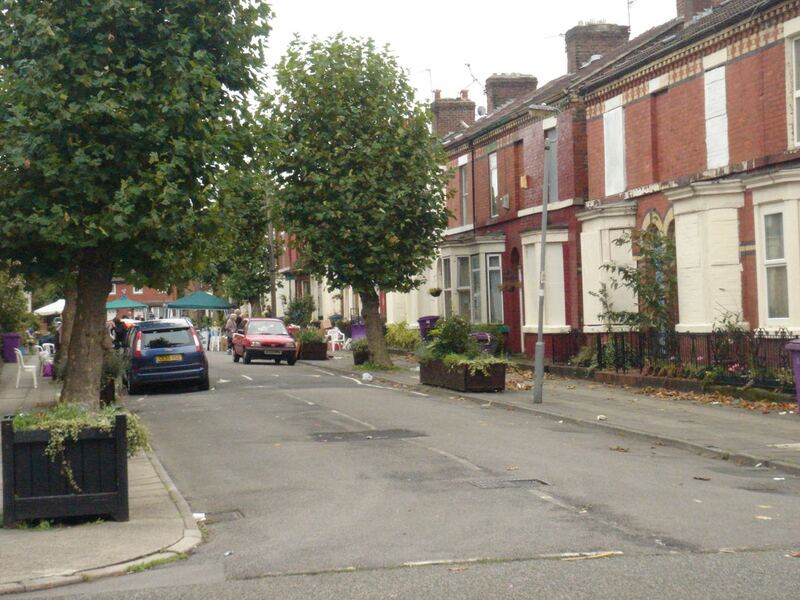 That I’d walk around my wider neighbourhood, let’s call it ‘Liverpool’ and check on how it was doing. What was new, what looked like it was being messed up, what looked good and interesting? Then I’d go home and enthuse or more often moan to Sarah. Simple and pointless? Maybe, but I always felt better for having been round and had a good look. Anyway, this Saturday in 2010 I wander into Granby. Upset to see one side of Ducie Street has just been pulled down but interested to see that someone’s been making little gardens around the ends of all the remaining streets. The I come upon the Street Market. It’s mid-afternoon and they’re just starting to pack it up. A relatively small thing just at one end of Cairns Street. And I’m not quite sure if it’s a market or the residents having a party. But there it is and it starts me thinking. That these people are up to something and onto something. That these streets look like they might not be going the way of the lost side of Ducie. 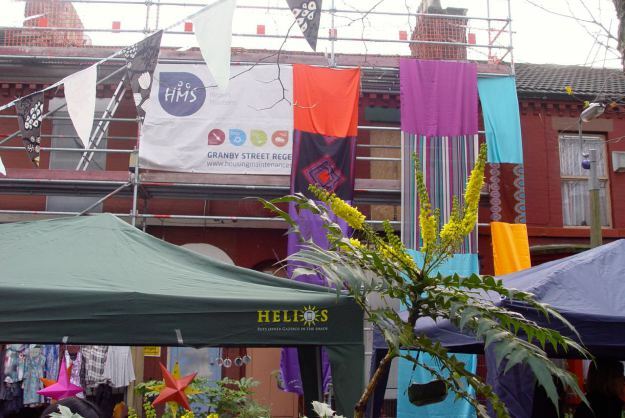 Late September 2010, one of the early Granby 4 Streets markets. So I’ve noticed them, these people of Granby. And some of them have noticed me. So over the cold and snowy winter that follows I start talking regularly to Martin and Stella. They live in Cairns Street, where the market was and already know me from work I’ve done with communities and groups of peope sorting their places out. I get more than interested in what’s clearly a determined effort to save their house and all the others, mostly empty, in the streets where they live. And as the snow thaws with the springtime they get me to meet some more of the the streets’ residents. We talk possibilities, guerilla gardening and politics – and they ask me in to help. Since when over four years have passed and most of the houses in most of the streets are now on site. And I’m not going to repeat the full, complicated and now joyous story here, I’ve been writing it, after all, as we’ve all gone along. But throughout this time, as it was in the beginning, there has been the street market. 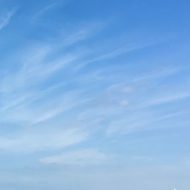 I’ve seen market tables and equipment stored in people’s houses the night before the markets, early mornings putting up gazebos in the rain whilst scanning the sky for any break in the clouds. Frustration and burn out and one team of residents stepping back to let another team take over. Because whatever happens the market must go on. Because if the market can be kept happening, it has sometimes felt, the future as we want it will happen. This future that’s turning up now, that has been the main purpose of all the dreaming, negotiating and planning and putting together the whole team of organisations now on site, the dream of these past four years. So throughout this time there has always and has had to be the street market. So what is it, this street market? Well it’s not like Greatie, the until recently huge, swaggering and sprawling North Liverpool street market. It’s also nothing like the farmer’s markets and artisan markets that are recently happening around the place. It has stalls with things for sale – crafts, art, T shirts, bric a brac – and there’s food and music. Just like any market. But there’s also the place and the people and a warm ‘welcome home’ kind of feeling. Welcoming all the people of Granby and Liverpool 8 obviously. And all the people who used to live in Granby. And all the rest of us. Always welcome. Welcome to something that’s somewhere between a market and a party with a political purpose. A regathering of peoples. A ‘come and see how we’re doing and what we’re up to?’ Sometimes over time the answer to this has been ‘Not much. Just waiting and hoping.’ But still the market has continued, through slow times, frustrating times, even outraged times – to now. When we’ve had to move the market to another street because 3 of the 4 streets are on site. Happy days. Days of the market continuing, as it will in the morning. Part of the new place of restored homes that are now being worked on and moved into. Part of the bigger community that’s now being built from the empty homes. The street market. Part of the art of community. Part market, part party. You will be there won’t you? 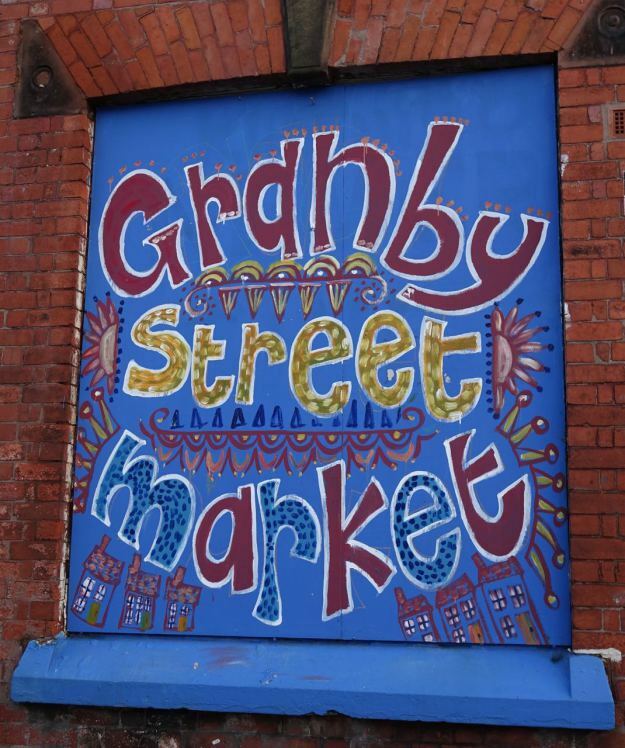 Granby 4 Streets Market, 10 til 3, Saturday 6th June on Ducie Street. I’ll be there, we’ll all be there, Homebaked will be there. And I’m even assured there will be donkeys. Don’t miss it. There were indeed donkeys, pictures here. As a resident of “The Avenues” L17, I have only just discovered your blog! I LOVE IT…..you are a truly lovely writer. Thank you. Thank you Louise, very much appreciated.